Roof ventilation is a very important component to any well-constructed, energy efficient roofing structure. Roof ventilation allows air to flow beneath your roof properly, to help to fight condensation, roof aging, and keeps your attic properly ventilated, which is important for any Maryland homeowner. The team at Four Seasons Roofing has experience with installing roof ventilation and attic ventilation systems so you don’t have to worry about roof repairs down the road. We’re your best choice roofing company in Baltimore for reliable and affordable roof ventilation. Why should you install a roof vent in your home? While it may not seem important now, the numerous effects are well-worth the investment. Today’s homes are built with energy efficiency in mind, but that wasn’t the case many years ago. An older home may not be equipped with the proper roofing materials to keep your home or office’s temperatures at a consistent level, which means you could be losing hundreds of dollars a year thanks to poor roof ventilation. On the other hand, a house or business with good roof ventilation will actually save you money, provide better comfort, and help you cash in with resale value in the future. A business with roof ventilation will save on heating and cooling bills that can be used elsewhere. Four Seasons Roofing offers a consultation to asses the current conditions of your roof ventilation, and provide recommendations on keeping your roof up to code and ensuring that it’s providing the most energy efficient coverage for your dwelling. 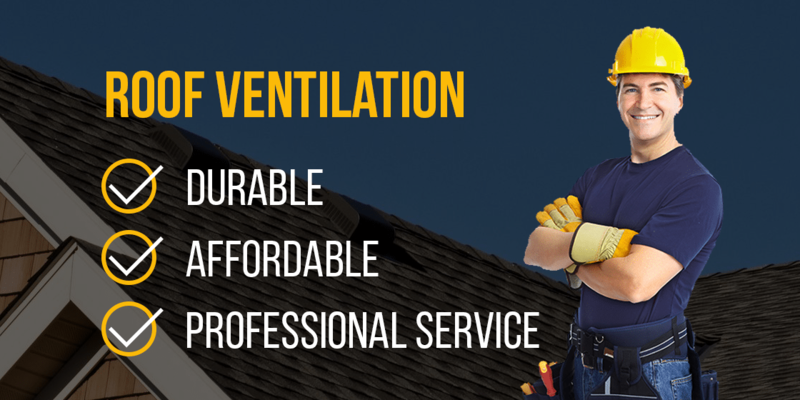 We have years of experience repairing and installing professional attic ventilation systems on hundreds of roofs throughout the state of Maryland, so you can relax knowing the best roofing company is on your side to keep your roof in top condition. Contact us today to learn more about how you can save money and avoid headaches with proper roof ventilation!